In 2006, while in his early 20s, Michael became a hot-air balloon pilot. He found a used hot-air balloon system on line and looked into purchasing it. 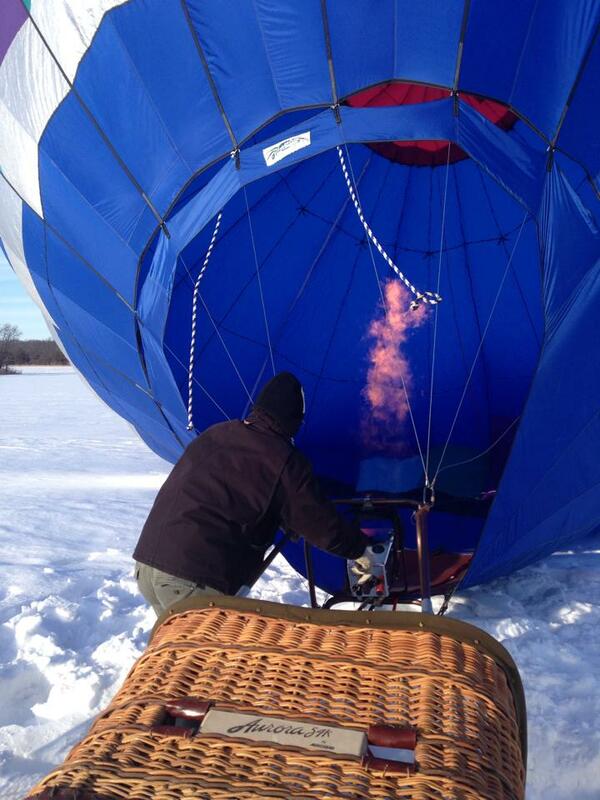 Once it passed muster, he studied with Bill Hughes, an instructor who had been part of the crew Malcolm Forbes put together to make a transcontinental balloon flight across the U.S. in 1973. “It takes time to learn to fly a balloon,” Michael explains. “And lots of friends willing to get up at 4 AM.” Since most balloon flights take place in the early morning, getting to the launch location and setting up the aircraft require rising long before dawn. 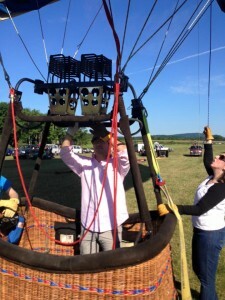 After taking all the necessary hands-on courses and achieving the required number of flying hours, Michael acquired his hot-air balloon pilot license. Achieving licensed pilot status requires passing an FAA (Federal Aviation Administration) test that incorporates knowledge of weather — that’s physics and chemistry — aeronautics, navigation, maneuvering, and a host of other issues designed to enhance safety and professionalism. Michael has achieved the highest ranking by the FAA, “lighter than air,”and is certified as an instructor, which allows him to teach prospective and aspiring pilots. Michael has flown in over 20 states as a commercial Pilot and enjoys spending the early hours of his weekends flying in the beautiful Hudson Valley.